Specialising in indirect taxes we have successfully advised businesses in all industry sectors on the full spectrum of indirect tax topics. Our primary concern is your satisfaction with the quality of our advice. The solution to your indirect tax problems, as well as optimising your indirect tax processes and potential are a challenge that we are delighted to work in close consultation with you and your business to solve. We see ourselves not only as an advisory firm, but as an integral part of your business. We always strive to build a long term and trustful relationship with you and give your business the greatest assurance in the area of indirect taxation. Please do not hesitate to discover our specialised indirect tax consulting services on our website and to contact us to explore how we can work together to reach your business goals. Through the early involvement of our specialists we can ensure the success of your business goals from an indirect tax perspective. From our many years of experience in advising on these fields of indirect tax we know that companies, of all sizes, and operating in all industries find themselves repeatedly exposed to significant indirect tax challenges and we work with businesses to solve this challenges in a practical and commercially-orientated manner. Given the combination of an increasingly complex indirect tax legislative environment and complex business models and supply chains, businesses are confronted with significant compliance challenges and increased risks, such as reputational damage, civil tax penalties and at worst criminal tax sentences. To manage the increased indirect tax challenges and risks we find that businesses are faced with the general constraints of not having the appropriate level of resources within the organisation dedicated to indirect tax combined with a lack of in-house relevant indirect tax expertise. We have based these findings on our substantial experience in working with businesses to consider indirect taxes in the overall business processes environment and developed an indirect tax process consulting approach, which enables businesses to identify, optimise, provide assurance on and embed indirect tax controls in their end-to-end business and indirect tax processes. This includes both technical indirect tax advice and process optimisation of the indirect tax points within the overall business environment, as well as the mapping of business transactions in the ERP systems of a business from a VAT and customs duty perspective. Based on our experience, only a business with a full overview of the business processes and the indirect tax touch points of such processes can effectively control the risks of indirect tax within the organisation and ensure opportunities for indirect tax optimisation are identified. Preparation or review of monthly preliminary German VAT returns, annual German VAT returns, Intrastat returns, European Sales Lists and VAT refund applications for non- established businesses in Germany. Indirect tax process and compliance advice, in particular reviewing existing indirect tax processes and controls, and identification of potential optimisation. In-house support for the indirect tax compliance and reporting process, or support on internal indirect tax projects. Zoé Wipfler, born in Berlin in 1975, started her career as a tax advisor with a Diploma in Business Law (FH) in 2000 at a Big-Five advisory firm in Eschborn. Here Zoé quickly discovered her passion for indirect taxes, in particular VAT and customs law and joined the indirect tax service line. Zoé’s advisory work involved advising German and foreign based clients in various industries, in particular the automotive industry, consumer and industrial goods, technology firms, financial institutions and aerospace & defence sectors, on all aspects of German and foreign (EU and non-EU) VAT law. In 2006, Zoé qualified as a certified tax advisor (Steuerberater) in Germany. In the course of Zoé’s advisory activities, she developed an approach to consulting on indirect process and technology and focused in particular on the configuration of ERP systems from an indirect tax perspective, the implementation of system-based indirect tax reviews and on the review, development and implementation of indirect tax compliance management systems. Zoé’s is able to utilise her substantial experience in this area to advice on best practice and to tailor solutions to the specific needs of a business. Zoé also has significant experience as the lead contact person in a Big-Four advisory firm of providing the indirect tax input to corporate transaction and corporate restructurings (in particular due diligence, structuring and post-merger implementation). In addition, Zoé has authored the content of, and presented at, numerous client seminars and in-house training sessions. Following an interesting, instructive and successful 14 years in the Big-Four world, including time as a Manager and Senior Manager, Zoé decided to leave at the end of 2014 in order to set up her own advisory firm with Marco Brackrogge. Zoé Wipfler is married and has two daughters. She is a member of the Association of Tax Advisers e. V. in Frankfurt. Marco Brackrogge, born in Berlin in 1978, began to study law at the Free University of Berlin in 2002 with a focus on tax law and passed in 2007 the first state law examination. Thereafter Marco worked as a research assistant at one of Berlin’s leading accountancy and tax consulting firms and following his legal traineeship he successfully passed the second state law examination and obtained admission to the German bar in 2011. Marco then obtained experience working in the Chamber for criminal tax matters of the Berlin public prosecutor’s office and the German Fiscal Authorities in Berlin Schöneberg. From this role it was possible for Marco to gain practical experience in the application of tax law from a different perspective. After qualifying as a lawyer, Marco joined the indirect tax service line of a Big-Four advisory firm in Berlin. During this time Marco obtained extensive indirect tax advisory experience in numerous projects with German and international companies operating in a variety of sectors, in particular real estate, media, consumer electronics and retail. In addition to general indirect tax consulting, Marco focused on indirect tax process and technology consulting, electronic invoicing (EDI processes, internal control procedures, electronic archiving etc. ), and advising on corporate transactions. Marco decided to leave at the end of 2014 as an assistant manager within a Big-Four advisory firm to form an independent indirect tax and criminal tax law advisory firm with Zoé Wipfler. 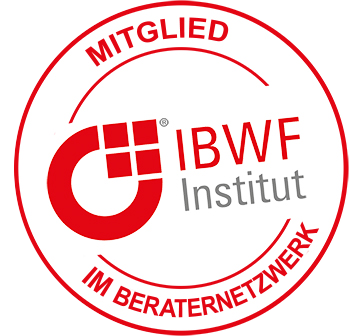 The website www.kanzlei-wb.com was prepared by Wipfler&Brackrogge Steuerberaterin und Rechtsanwalt Partnerschaft mbB. Marco Brackrogge is a member of the Bar Association of Berlin. Zoé Wipfler is a member of the Chamber of Tax Consultants Hessen and the Association of Tax Advisers. In case of disputes between lawyers and their clients, upon request, there is the possibility of extrajudicially dispute resolution in the respective regional bar association (pursuant to § 73 para 2 No 3 in conjunction with § 73 Section 5 Bundesrechtsanwaltsordnung) or with the conciliation board of the Chamber of Lawyers (§ 191 f BRAO) at the Federal Bar Association, available on the web via the homepage of the conciliation board of the Chamber of Lawyers (http://www.s-d-r.org), E-Mail: schlichtungsstelle(at)s-d-r.org. In client relationships with clients based abroad German law is valid with the exception of private international law. You can find these rules on the homepage of the Federal Bar Association www.brak.de under the heading “Berufsrecht”. Wipfler & Brackrogge Steuerberaterin und Rechtsanwalt Patnerschaft mbB made every endeavor to ensure the accuracy and completeness of the available information on the web presence www.kanzlei-wb.com, but takes no responsibility for the timeliness, accuracy or completeness of the provided information on the web presence www.kanzlei-wb.com. None of the aforementioned provided information on the website www.kanzlei-wb.com constitutes or replaces legal advice. Wipfler & Brackrogge Steuerberaterin und Rechtsanwalt Partnerschaft mbB is also not responsible for the content of external web pages, to which www.kanzlei-wb.com is directly or indirectly linked via hyperlinks. Wipfler & Brackrogge Steuerberaterin und Rechtsanwalt Partnerschaft mbB reserves the right to change the web presence in parts or in whole without prior notice, to add, delete or cease publication temporarily or permanently. The available content on the web presence www.kanzlei-wb.com such as graphics, sound documents, video sequences and texts are protected by copyright. Any duplication or use of these contents by any third party in any form is prohibited without the explicit permission of Wipfler & Brackrogge Steuerberaterin und Rechtsanwalt Partnerschaft mbB; for appropriate agreement, please contact the person listed in the imprint. This disclaimer is to be regarded as part of the www.kanzlei-wb.com web presence. If sections or individual terms of this disclaimer are not, no longer or not completely in line with legal requirements, the remaining parts of the document shall be unaffected in their content and their validity. Wipfler & Brackrogge Steuerberaterin und Rechtsanwalt Partnerschaftsgesellschaft mbB hereby undertakes not to pass on to third parties any customer data which have become known to it and which is collected in connection with this website and in the subsequent contacts, unless this is expressly requested or is necessary in the context of order processing. Information about the type of browser you are using. In the case of a normal e-mail enquiry, we only receive your e-mail address and the personal information you have entered in your e-mail program. This information enables us to offer you optimal service and individual support. Of course, you as our customer have the right to receive information about the data we have stored about you at any time. In order to facilitate the use of our website, we use so-called cookies. This is done for technical reasons and for analytical purposes. A cookie is a small text file that is stored locally in the cache of the user’s Internet browser when the user visits a website. Cookies do not harm your computer or mobile device. Cookies enable the server to uniquely identify your browser. They enable the recognition of the Internet browser to optimize the website and simplify its use. The information in the cookies, which are set on our Internet pages, serve to control the session. The cookies set by our websites are also only used by our pages. This data is not used to personally identify the visitor to this website. Most browsers are set to automatically accept cookies. If you wish to prevent your use of our websites being anonymously recorded by means of cookies, you can adjust your browser settings. It is possible to deactivate the storage of cookies or to set the browser so that you are informed about the setting of cookies. The cookies can then be rejected or accepted. Stored cookies can be deleted or managed with the help of the browser. For more information on deleting and managing cookies, please refer to the help function of your browser.